@wisonchong604 is on Carousell - Follow to stay updated! 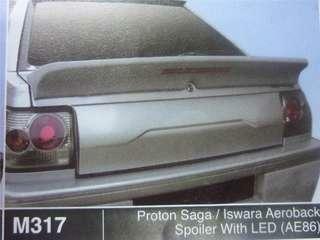 PROTON SAGA ISWARA AEROBACK SPOILER WITH LED AE86 M317. Led lamp all is good. Sell because the spoiler cannot install to my Saga 2. If interest can wechat me wisonchong99 or whatapp me 0 1 1 1 0 9 3 9 9 0 8.